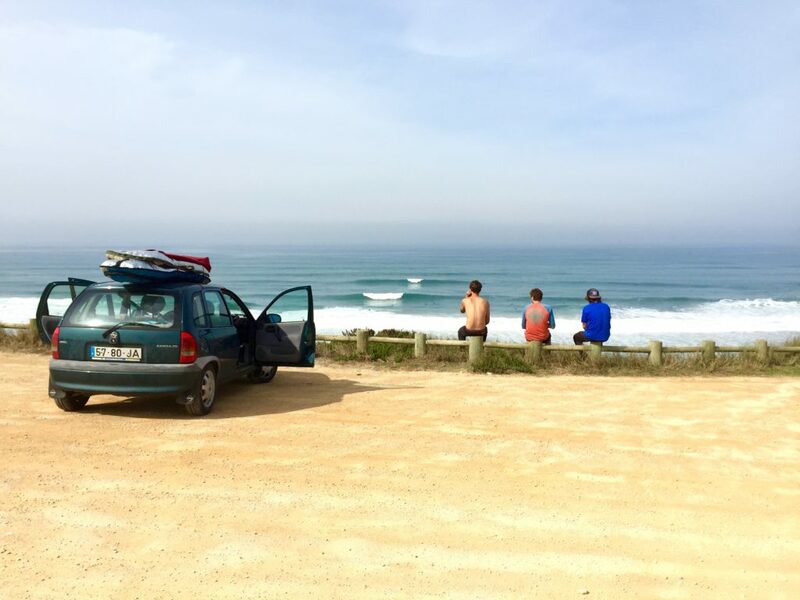 Should you rent a car when coming to Ericeira? People struggle with this question sometimes, because there is perfect public transport between the airport, Lisbon city center, Sintra and Ericeira. Next to that, Ericeira is small so if you’ve rented a place close to the center (like Olá Onda) you can walk almost anywhere. 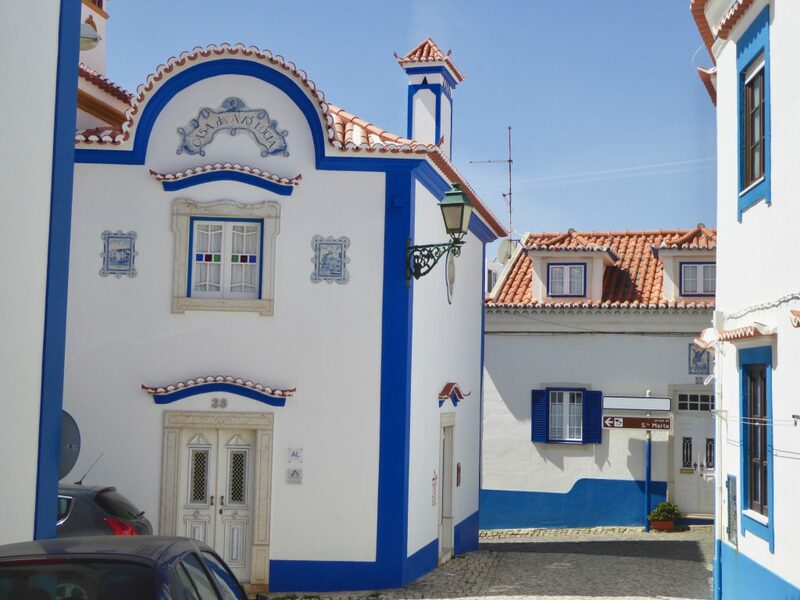 However, if you want to see a bit more of the beautiful area outside of Ericeira, and especially when you’re on a surf trip, it’s best to rent a car. In this blog we will elaborate on why you should or shouldn’t rent a car when coming to Ericeira. The best way to discover Ericeira and the surrounding area is by car. The entire coastline is simply full of photogenic little villages and stunning cliffs and beaches, and you’ll be only able to visit them by car. Drive to the south of Ericeira, all along the coast to Cascais. You will pass by Azenhas do Mar (in the picture below), Praia da Ursa, Cabo da Roca and one of the best beaches around: Praia do Guincho. Want to go up north? 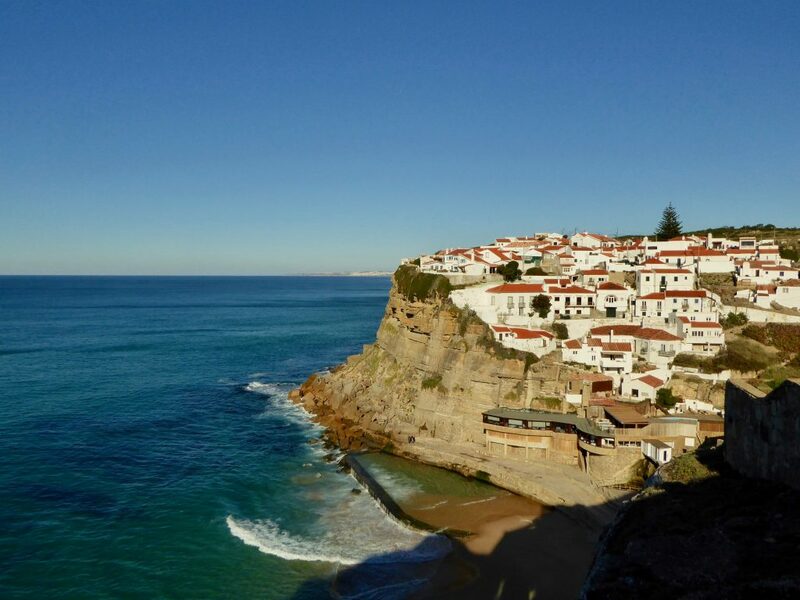 Then you should pass by the beautiful beach and Portuguese holiday town of Santa Cruz, surfers paradise Peniche, medieval town Óbidos and watch the biggest waves in the world in Nazaré. Also, don’t forget to book a boat tour out to the Berlengas, a great trip you cannot make without renting a car. With a car you’re more flexible, obviously, then when you need to take public transport. The busses and metro’s only go until a certain time, and you will need to be on time or wait for an hour for the next bus. With your own car you can go whenever, wherever you like. Money wise, it can be cheaper to rent a car than to take public transport. Especially if you’re more than 2 people and you travel outside of the high season. Almost everywhere parking is free. Besides Lisbon and the main parking square of Ericeira, you can just park your car anywhere you want without it costing you a dime. 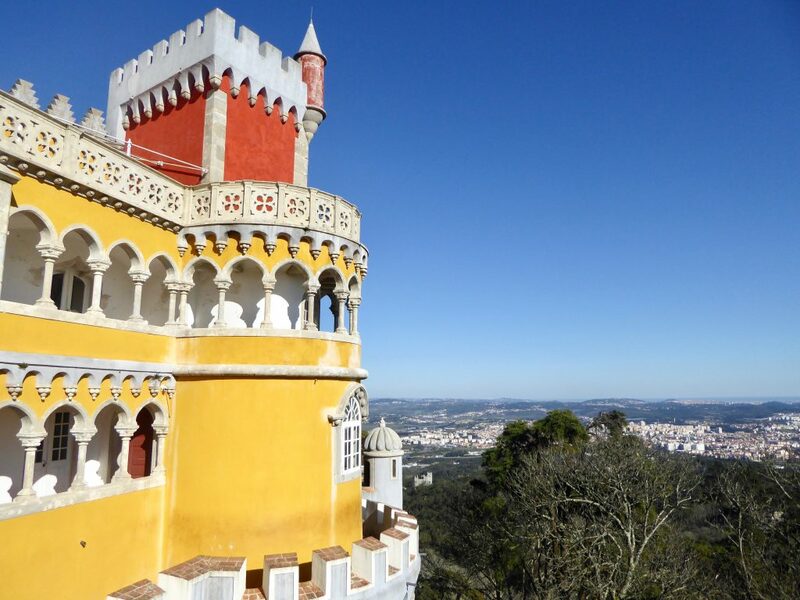 We always provide our guests with tips on the best parking spots in Lisbon and Sintra. If you want to do a surf trip and surf the best waves every day, we definitely recommend renting a car. That way, you can check multiple spots in a short amount of time, and surf the one that looks best. When the wind is too strong or the waves too big, you can decide to either go south or north. South to Costa da Caparica or Carcavelos, or up north to Peniche. Within the hour you’ll be somewhere completely different with superb waves. Without a car you’ll probably end up surfing the same two or three beaches in Ericeira. Which can also be really great, but a bit more risky when looking for the best waves. Ericeira itself is already pretty great! And it’s so small you can easily walk anywhere you want. If you book accommodation close to the city center, it’s not necessary to rent a car. Ericeira has several different beaches within walking distance: Praia do Sul, Praia dos Pescadores and Praia do São Sebastião / Matadouro. Then Foz do Lizandro to the south and Ribeira D’Ilhas to the north are also possible to walk to if you enjoy walking and have spare time. Public transport is also pretty good between Ericeira and the airport, Lisbon city center and Sintra. When you are traveling solo, this is definitely the cheapest option and the most environmentally friendly one. From the airport you take the metro to Campo Grande for about €1,50. Then the bus to Ericeira for about €6. Depending on the time and the day, this will take you between 1,5-3 hours. From the airport to Ericeira by car is only 30 minutes, so only take public transport when you are not in a hurry. 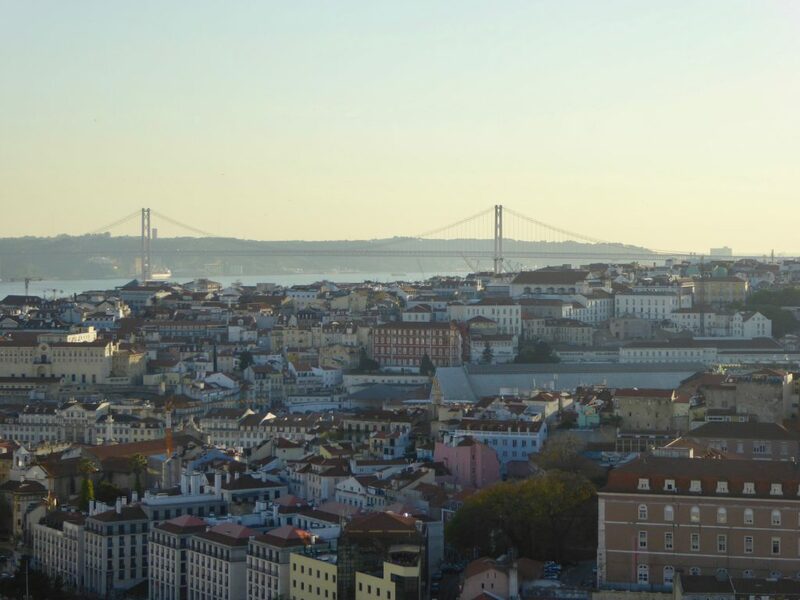 To the city center of Lisbon you can also take the bus and metro. Here you will find all the timetables. However, if you are with 2 persons or more, a car is almost always cheaper, depending on where you park. We also provide airport transfers to and from Olá Onda Guesthouse. Just let us know your flight number and we will be there. Find our prices here. Another great way to get around in Ericeira is the Ericeira Beach Bus. This bus runs only in the high season. At Matadouro beach, 10 minutes walking from Olá Onda, there is a bus stop. The Ericeira Beach Bus runs all days in summer from Ribeira d’Ilhas to Foz do Lizandro, between 9h and 20h. You can hop on and hop off for only €1. All famous surf spots of Ericeira are within a couple of kilometers. Even if you don’t have a car, you can still go and surf, swim or sunbath anywhere you want. There is even a board rack so you can take your board. 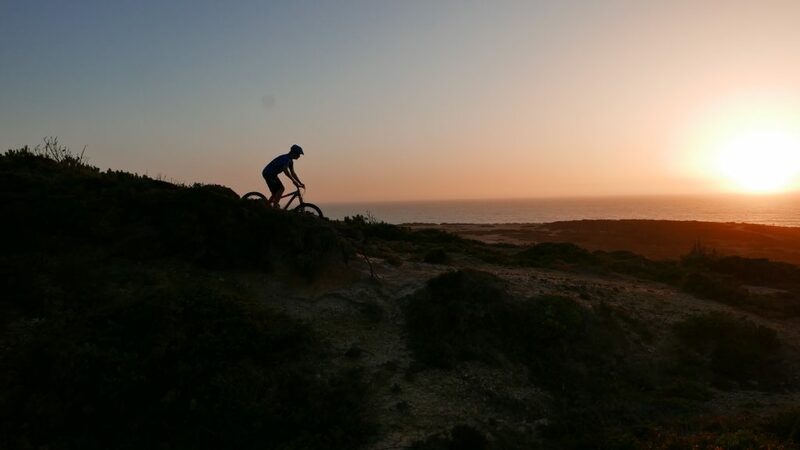 The Ericeira area also has plenty of fun activities on offer, even if you don’t rent a car. For those who want to take surf lessons: a transfer from and to Olá Onda is always included in the price. Same goes for the mountainbike tours, a transfer is included. Yoga lesson? No car needed. We organize them here at our guesthouse or there are several yoga studio’s within walking distance. Even massages can be arranged at Olá Onda. Hopefully we helped you make up your mind about renting a car or not when coming to Ericeira. Don’t hesitate to contact us if you have any other questions.